This guide will help you fix error 0xc0000005. This is an error you can solve yourself, with the help of our instructions. Error code 0xc0000005 is a common Windows error, which may appear due to many different reasons. In this guide we decided to offer you the best fixes for three of the cases – the “Access Violation error” message, the “application was unable to start correctly” error message and the “MS Office error”. We did our best to offer you solutions, which are tested and easy to follow, and if you repeat them correctly, you will be able to solve the issue yourself and save a few dollars from an expensive PC repair service. Why do you get Access violation error 0xC0000005? The 0xC0000005 Access Violation error is a Windows error, which usually appears when you try to run a program that attempts to access a location that is not assigned for its use. The moment you close the error message, the program will close as well. Another reason for getting this code may indicate that the program wants to use system memory improperly. However, there may be many more reasons for the Access violation error 0xC0000005 to occur, such as when you try to install some software, run a certain function or launch system built-in tools. “An application error has occurred and an application error log is being generated. Exception: access violation (0xC0000005), Address “The application failed to initialize properly (0xC0000005). Click OK to terminate the application”. What may cause the Access violation error 0xC0000005? The Windows OS is a complicated system, which is constantly performing multiple processes and tasks. To provide users with the best functionality, the system is constantly distributing memory between the running processes. However, when a particular program attempts to access memory, which is not available for its process and is distributed to another task, the Access violation error 0xC0000005 will occur and the program will quit. Some common reasons that may cause this disturbing code to appear are related to registry issues, faulty RAM, corrupted drivers, DEP function, a virus infection, failed system security update and many more. If you are using some third party applications, (Symantec Antivirus software was known to cause the error 0xC0000005), they may also be a reason for the “Access violation error” message to appear and you should update them or contact their developers to get rid of the error. In fact, it is difficult to tell exactly what caused it, that’s why you may need to try different solutions in order to have it solved. Below, we have listed a few, which may be of help, so take a look at them. In case that your computer is infected with some virus or other malware, the 0xC0000005 error may indicate that it is preventing some malicious programs from executing their actions. In many cases, this is one of the common reasons for the “Access violation error” to appear. That’s why we advise you to first run a full system scan to your machine with reputed antivirus software. Don’t forget to get all security updates and latest virus definition to ensure full protection and a precise scan. Sometimes, corrupted registry entries and poor system maintenance may cause this error to appear. If you frequently install or uninstall software over old one without properly deleting or uninstalling the remaining files, this may cause some system malfunctions, including error 0xC0000005. To fix it, you will have to check the registry entries and delete all invalid and remaining entries. However, bear in mind that messing with the registry requires some advanced computer skills and if you don’t know what you are doing, it is best to give that task to the computer experts rather than corrupt your system by yourself. Or, you can use some third-party software that is able to repair corrupted registry automatically instead of you repairing it manually. There are such programs on the Internet, and most of them can do a good job. Data execution prevention is a set of security features, available for Windows users, which is designed to prevent code execution from non-executable memory segments. Usually, its main task is to check memory and protect the computer from viruses. However, some programs may have a conflict with the DEP if it is enabled, which may cause the 0xC0000005 error. First, log into the computer as an Administrator in order to have full administrative rights. Next, if you are using Windows XP, click the “Start” button and select “Run“. If you are using Windows 7, just press the Windows and R keys together. A run box will open and there you need to type sysdm.cpl and click “OK”. Then, a System Properties window will open, where you will need to click on the Advanced tab and then go to Settings. 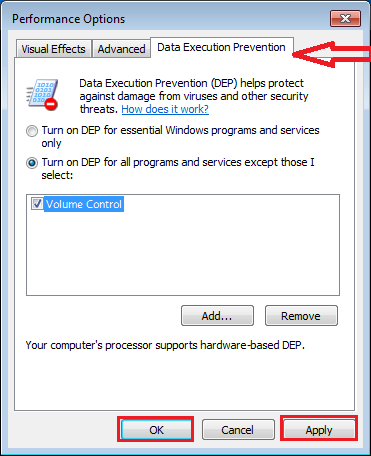 Next, the “Performance Options” window will open where you need to click on the “Data Execution Protection” tab. Once there, select the option “Turn on DEP for all programs and services except those I select” and click the “Add” button. Now you will need to browse files from the Open applet in order to find the .exe files of the program, that is causing the error code. Once you find it, select it and click the “Open” button. Finally, click “Apply” and “OK” to make the changes take effect. Many times, a bad or incompatible RAM may bring about the Access violation error. If you added a new RAM to your PC in your attempts to improve its performance, you may have started to receive the 0xC0000005. If you remove the memory and restart the computer, this may solve the issue. Before removing the RAM, however, turn off your PC and remove all cables and the battery. Or make sure that it is fully compatible with your computer model and specifications, because if it is not, various issues may appear. Microsoft Internet Explorer 6.0 may also get you this error when you attempt to access an HTML file or web page. The IE browser may stop responding when the 0xC0000005 occurs, especially when the HTML document or website the browser tries to open includes SPAN tags, which are closed incorrectly. To solve this, you will need to update Internet Explorer or use other web browsers such as Google Chrome, Firefox, etc. Why do you get “The application was unable to start correctly (0xc0000005)” error message? 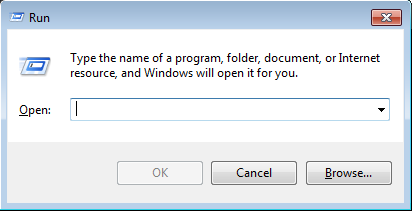 It indicates that the program you are trying to open cannot start. This problem usually occurs because of the DLL, which supports running the program, is not complete, not signed or invalid. In this case even rebooting the system or reinstalling the program won’t fix the error. But here we have prepared for you some fixes that may help. Fixes for “The application was unable to start correctly (0xc0000005)” error message. First, press the Windows key and the R key together to open Run command. Next, type “Regedit” in the search box and press OK. The will open the Registry Editor window. 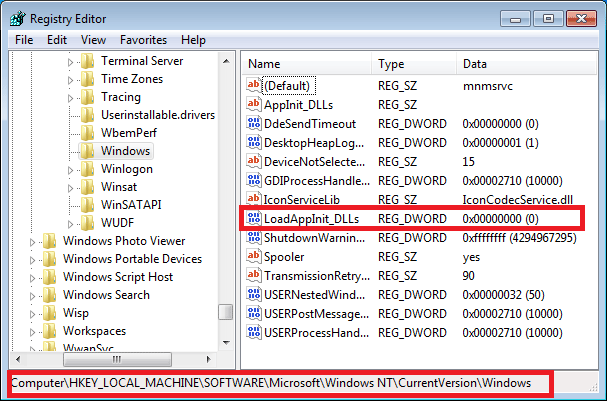 Click on “LoadAppInit_DLLs” to open it and modify its value to 0 from 1. Click OK to confirm the changes. Finally, restart the computer and try to run the application causing the error. It should be able to start normally without the error code. Why do you get the Microsoft Office 0xc0000005 Error code? First, click the Start button and select “Control Panel”. Next, click on Programs and select Programs and Features. Select the Office program in the software list and click “Change“. Then, choose the “Quick Repair” option and click “Repair“. If “Quick Repair” does not resolve the problem, then try the “Online Repair” option. First, click the Start button, type “inetcpl.cpl” in the search box and press Enter. This will open the “Internet Properties” window, in which there is a “Security” tab. Click on it. Next, click on “Reset all zones to default level” button and click OK. This should get the error message solved. First, you will need to open the Command Prompt. Press the Windows and R keys together and type “cmd” in the Run box and click OK.
Next, press Enter and if you get a message stating “Error writing proxy settings. 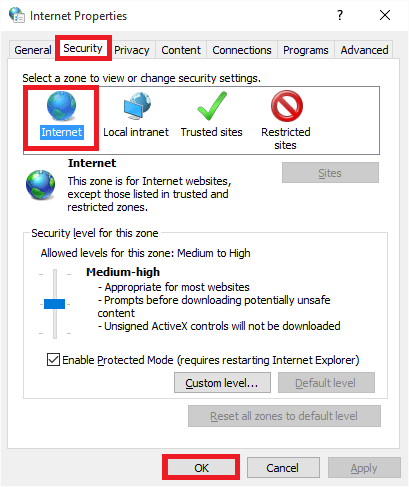 (5) Access is denied”, this means that you should disable the Proxy settings in Internet Explorer. For that, launch Internet Explorer, click the Tools button and then the Internet Options. Next, click the Connections tab and select “LAN settings“. Choose “Use a proxy server for your LAN“. Finally, type the address of the proxy server in the Address box and type the port number in the Port box. If your network demands separated address for different services ( HTTP, FTP, etc. ), click the Advanced button to enter the required addresses. Then click OK to save the changes. Sometimes, during Windows update or MS Office installation, the DLL (Dynamic Link Library) may get lost or not get registered normally in the system. To register the lost DLL, open the Run box by pressing the Windows and R keys together and simply type the following command: regsvr32 Officevalidator.dll Click Ok and you will be good to go. Did we help? If yes, please feel free to share this with others and if you know some other solutions for the 0xc0000005 Error code, we would love to hear about them in the comments below.